This is as close to a total gun ban as one could get, and I hope legal action is taken in the coming months over this egregious infringement on Second Amendment rights. Actually, AR-15s (the weapons used in the San Bernardino shooting), or any rifle with a detectable magazine, are used for hunting—and they’re popular with competitive shooters, which, along with self-defense, is why millions of Americans own centerfire rifles. 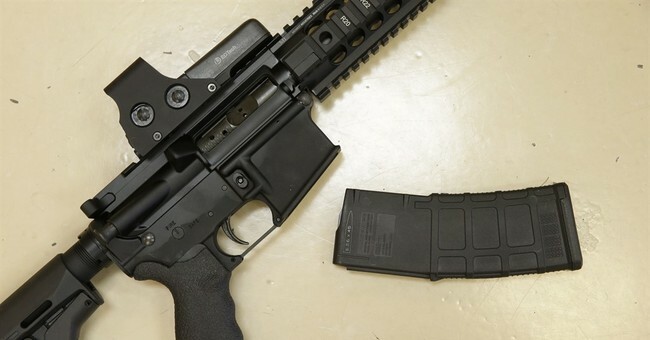 At our sister site Bearing Arms; Bob Owens aptly noted that the AR-15 could be chambered in 30 calibers, is excellent for feral hog hunting (who are menaces to the surrounding environment), and (again) used for competitive shooting and marksmanship training. As with most anti-gun lawmakers, they know nothing about firearms. Keep in mind, this is the state where lawmakers thought a “ghost gun” could shoot a “.30-caliber clip to disperse with 30 bullets within half a second. Thirty magazine clip in half a second.” That was Kevin De Leon, who wants to make sure you go through a background check for simply buying ammunition.